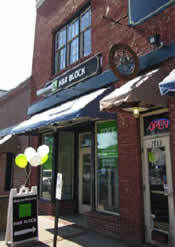 Located on Main Street across from the East Point MARTA Station and between West Cleveland Ave. and White Way, H&R Block offers clients a variety of tax services. 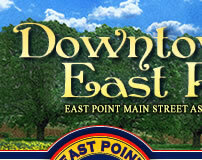 East Point a great place to do business. 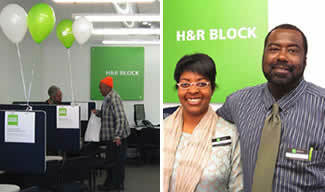 H&R Block opened its location in Downtown East Point seven years ago. H&R Block participates in community festivals and gives out free tax advice to the community. “Anytime a resident of East Point needs tax advice we can set up a tax talk and present whatever information they need for FREE! We are passionate about helping our clients. Their success is a key measure of our success. We prepare our taxes with knowledge and expertise to satisfy each client. 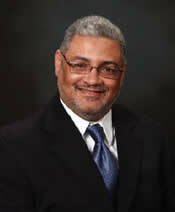 We are honest and ethical in everything we do,” says Ron Totten, office manager. HR Block serves clients with diverse backgrounds and ages. They have a bilingual tax professional in the office full time during tax season. If a business or organization needs further information about the tax services H&R Block offers, please call 404-766-7432 before April 18th, 2011. After April 18th, please contact H&R Block at their Camp Creek Marketplace location at 404-629-6042. Community Appreciation Offer: FREE 1040EZ Simple Return!